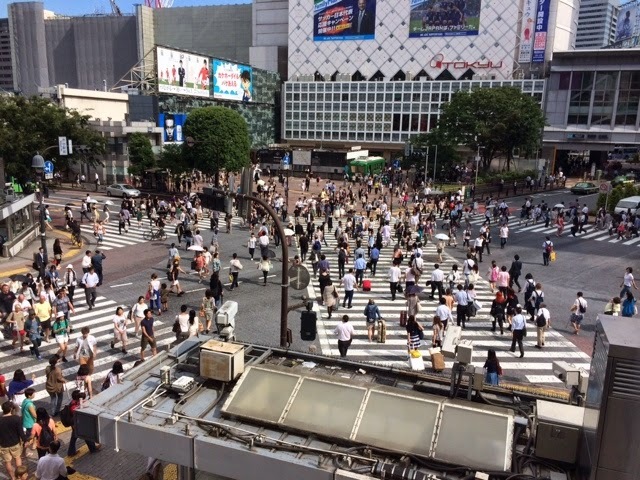 Today my sister took me to Tokyo, and I remembered how much I don’t like crowds. 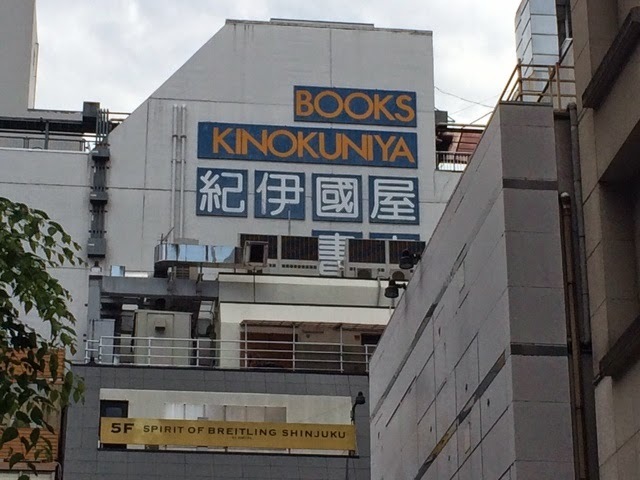 Unfortunately, I remembered this right as we exited the train at Shinjuku and began a quest to find a comic book store. Also, it was raining. Also, it was hot. Also, I was hungry. I tried to take a panoramic photo but this is as far as I got. This is the exterior of the comic book store Stueve wanted me to visit. I did. 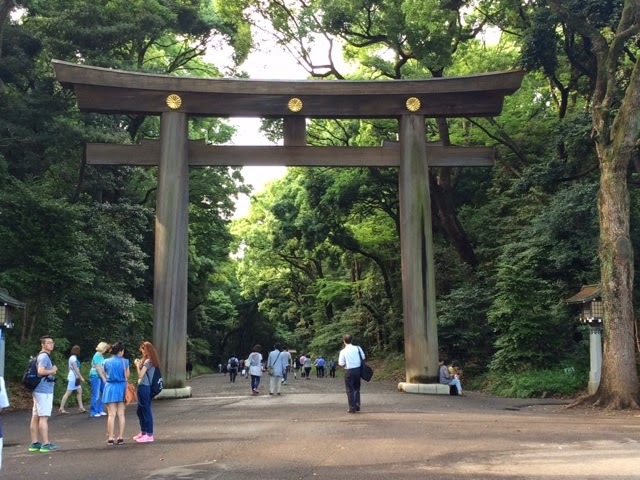 Everything was in Japanese, and while inside I remembered that I know nothing about anime or manga. Also, all the books were shrinkwrapped so I couldn’t glance inside any of them to see if I could find Sailor Moon. 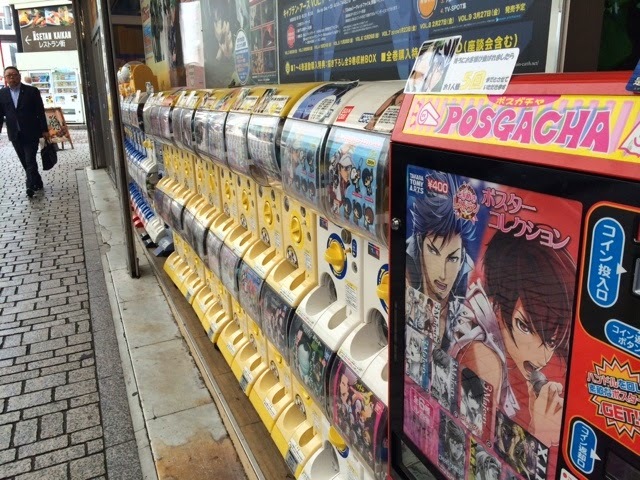 Outside the comic book store, a line of little vending machines for various accessories related to anime and manga. Pretend that I took a photo of Hachiko, the dog. There was a line, and I’m impatient and sometimes, I just don’t care about photos enough. I saw him from a distance, and if you don’t know his story, read it on Wikipedia. Or watch the movie Hachi starring Richard Gere. 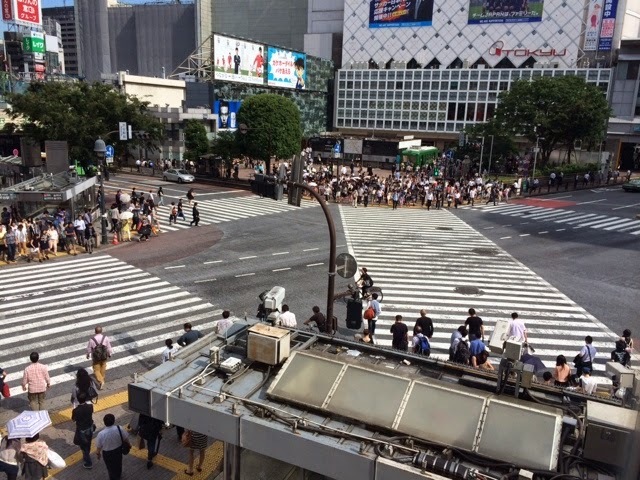 This is Shibuya Crossing. Deanne says to go on YouTube and watch videos of the crossing. This is a shot of it at a red light. Here it is on a green light. The photos really don’t do it justice. It’s amazing. Deanne said at the time we were there, traffic was pretty light. 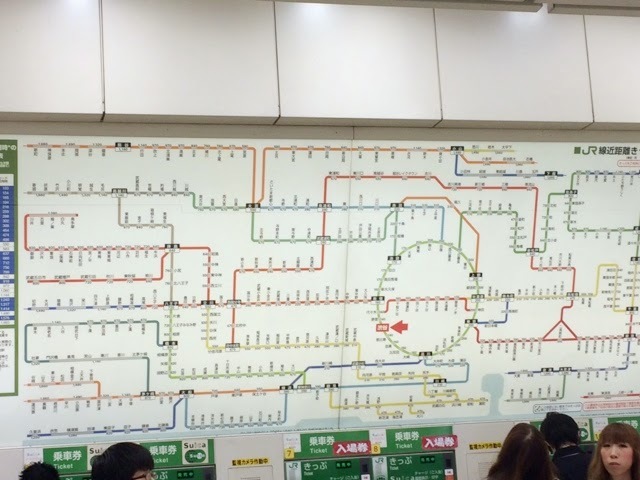 This is the map of the train system, by the way. Not overwhelming at all. 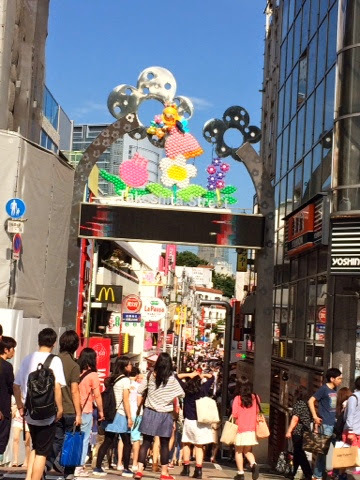 At Harajuku. This is Takeshita Street, which was by far the best thing I saw all day. I wish we had started here, because it was just so cool. Tons of clothing and shoe shops, candy stores, jewelry stores, all seeped in Japanese culture (except maybe for the McDonalds). I’m continually gleeful at all the French references I see as we go different places, and Takeshita Street was no different. 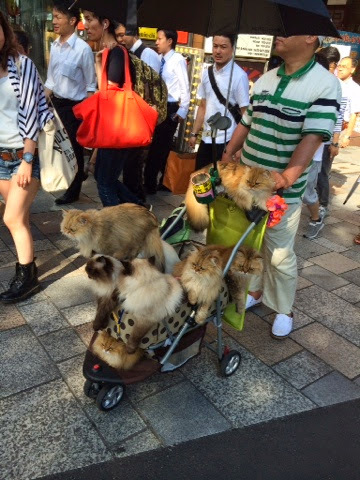 A man walking his posse of cats. You know, as you do. Can you spot what the gnomes are doing? 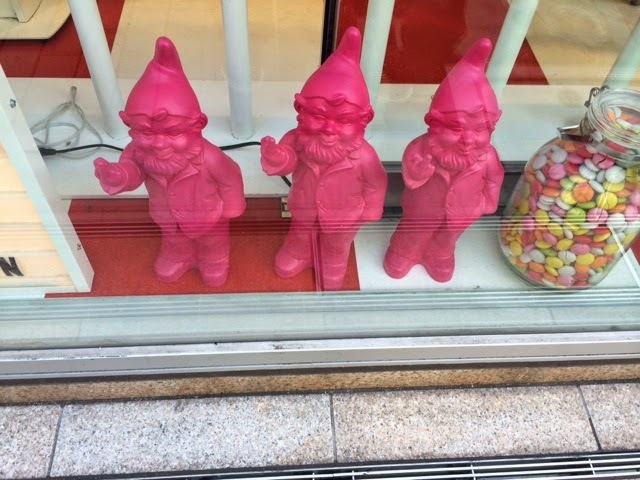 Naughty gnomes. 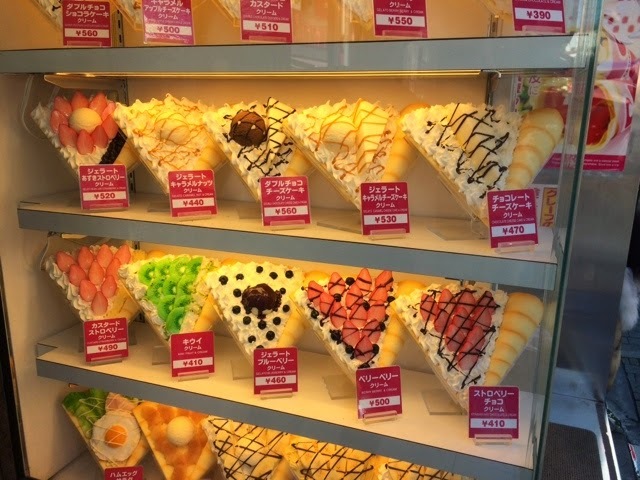 So every restaurant has plastic display food to show customers what everything should look like once they order. This was the display outside a creperie. Most of them have gelato, fruit, and whipped cream. Must have before I leave. Doesn’t have to be this location; any one will do. I’m sore from all the walking and standing on the trains, and I’m a mess from the rain and heat and humidity, and I don’t think I’ve ever felt more out of my element ever in my life, even that time I was totally lost by myself in Manhattan and it was before the age of smartphones and I had to call my sister to look up my location on Google Maps and get me to the Marriott. But I also can’t wait to go back. ← Previous Post Just Pictures.